What initials would you like on the discs? 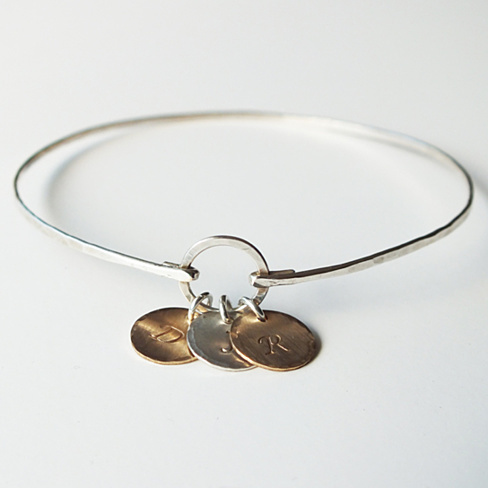 Hand forged sterling silver or gold filled bangle with three personalized discs. Please leave upper case or lower case script initial choices in the notes at checkout. The average size is the 2.5″ medium.